You Got To Know When To Mold Them! That is designed acrylic! Custom made for you to your specifications. 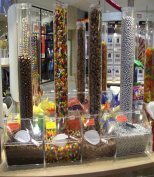 Get your business in top shape when your candy dispensers and merchandise display cases are custom fabricated containers. Can't find the exact bin or dispenser you're looking for? Acrylic fabrication is your answer; choose from large to small, round or square. 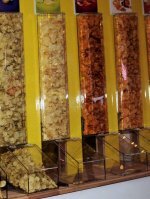 Custom made containers allow you to have control and take pride in your displays. Simply select your shape, dimensions, and type of container for the acrylic designs, and let us do the rest. Need help in creating and/or enhancing your design? We can help with that too! 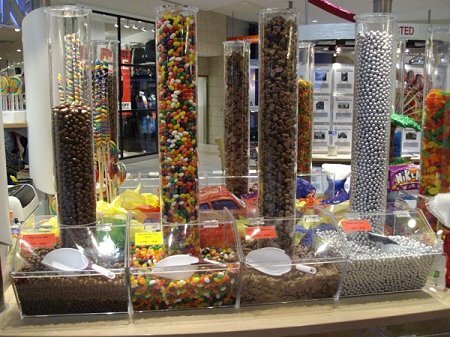 There are several types and options to select from when it comes to clear acrylic containers: Gravity Bins, Stackables, Round Bins, Candy Jar. The type of lid is important to consider too. 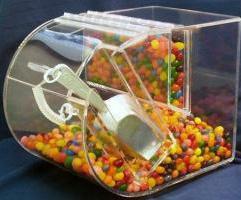 Where you will place the made to order acrylic container is a big factor as well. 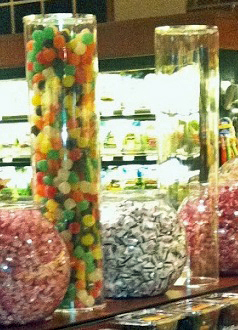 These fabricated dispensers can be placed on counters, tables, stacked and even for use on slatwall displays. Get a new fresh and unique look to bring in more profits with an Acrylic designed display, by you for you! Call today!